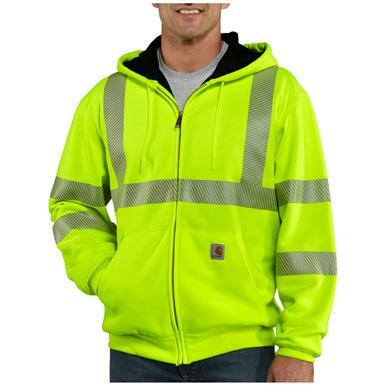 Carhartt® Class 3 High-visibility Thermal Hooded Sweatshirt. "Be seen" safety, plus insulated warmth! Constructed of rugged 10.5-oz. 100% polyester fabric with a warm, thermal lining, Carhartt®'s Thermal Hoodie has earned its stripes. Those "stripes" are actually 3MTM ScotchliteTM reflective material that can last up to 75 washes... much better than typical high-visibility clothing. Meets ANSI / ISEA 107-2010. Machine wash / dry. Imported. 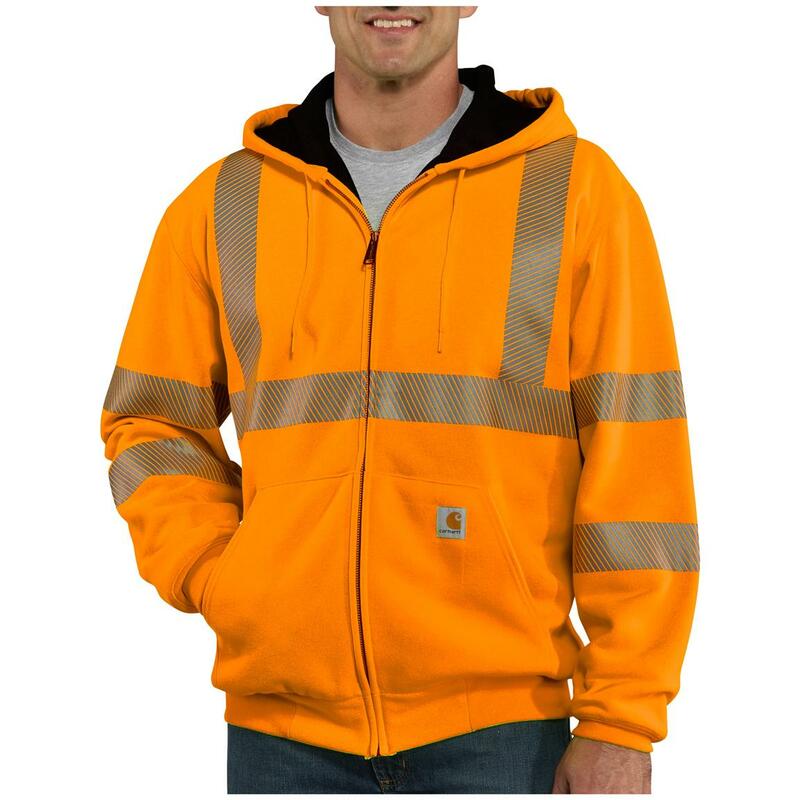 Mens Carhartt Class 3 High-visibility Thermal Hooded Sweatshirt is rated 5.0 out of 5 by 1. Rated 5 out of 5 by Jrod from Great ZIP UP I wear this down to about 15 degrees above 0. Very warm for working outside. The perfect pattern for goose hunters.